Moving house in Stamford Hill, N15 always has some sort of stress involved. We know that you will come across a few problems here and there, but with our team, those issues will be reduced to minimum. You know you need to have a decent crew of lifters and loaders, but you also need people who understand the business as well. If you are going to make the job an easy one, why not get in touch with Moving Service to make things happen in the way that you want. We can work with you on the planning on your removals in the N15 and N16 areas. This will essentially mean that you know exactly what is happening well before you do the move itself. With our home movers, you get an amazing service, and you will get a team of lovely people. The employees are friendly, and they always make sure that you are well accommodated. Your belongings will be in safe hands with our team. Our staff has built experience in providing the best removal services, and that will ensure that your boxes and furniture are treated well. The matter is that we are head and shoulder above the competition, so give us a call on 020 8746 4402 to book your appointment today. What Will You See When You Visit Stamford Hill? The area is in the North of London, slightly to the east, in the London Borough of Hackney. The area gives its name to the main road which runs up from Stoke Newington to Tottenham, continuing a long strip that starts down near London Bridge and forms a continuous line north and out of the city. The area is famous for its high density of Hasidic Jews, with the most concentrated population in the whole of Europe. The area has its own railway station, called Stamford Hill, but is also close to Stoke Newington and South Tottenham stations. For the tube, Manor House and Seven Sisters provide quick and easy access to the rest of the London area. With areas to the south of Stamford Hill gaining popularity as fashionable places to live in, the rise in rent has pushed people north, making Stoke Newington a more affluent place than it previously was. This has naturally led to dispersion of residents up into areas that are less affluent, including this area. It is unlikely however, that this place will become a new centre of cool culture, as it has an already prevalent community. Whether you are looking to move to Scotland, or just around the corner, our team can get you moved without any hassle. We know that things can get difficult, so we accommodate your schedules to help you get packed up and moved without any bother. The result of this is always an incredibly easy removal in Stamford Hill, N15, at an amazing price. We offer perfect results on domestic removals in the N15 region, but can help with the commercial aspect as well. 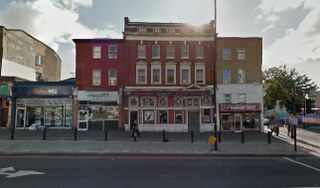 Should you need office removals around Stamford Hill, get in touch with us today on 020 8746 4402. We know that sometimes it seems like the workplace relocation is too much to handle, but we can help you to plan and execute it swiftly. Should you have need for domestic or office movers in Stamford Hill, call Moving Service and we can help you. Our employees are ready and waiting to make sure that you are able to get your things moved, without any trouble.